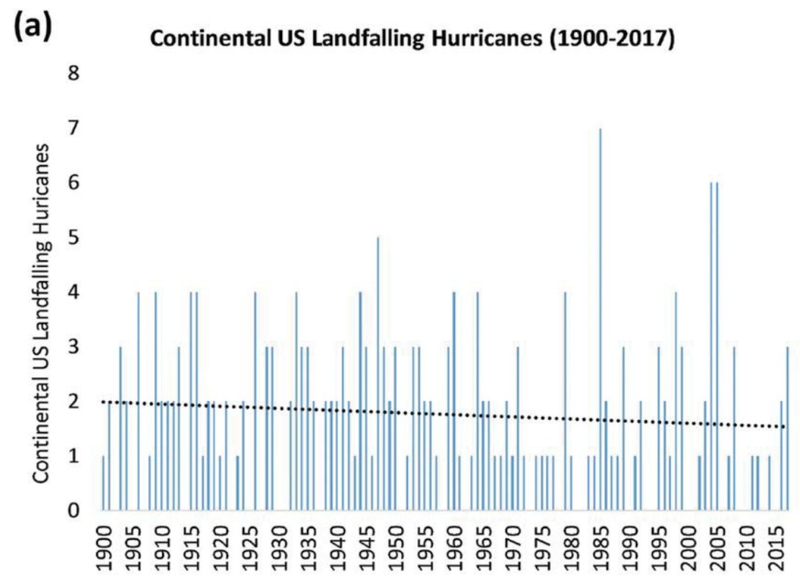 As world temperatures have risen, the number of hurricanes hitting the United States has decreased. 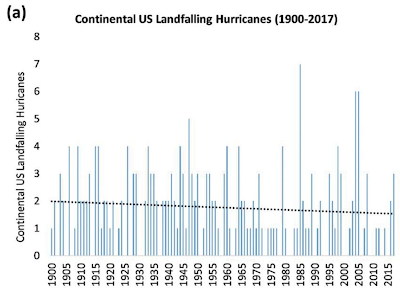 You may recall that, after Katrina (2005), we heard over and over how hurricanes were going to get worse. Another global warming theory shot down.